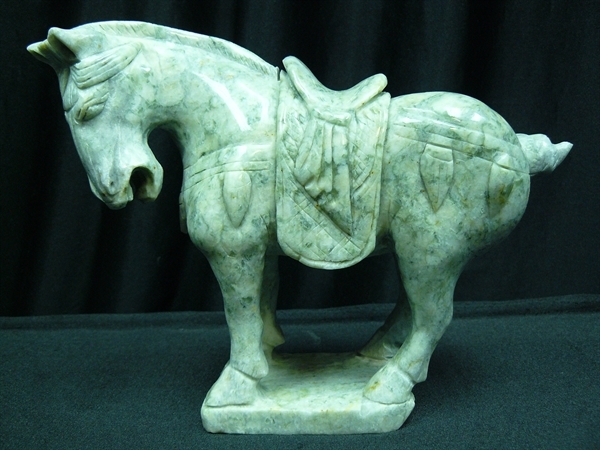 This jade saddled tang horse is carved from one solid natural jade. 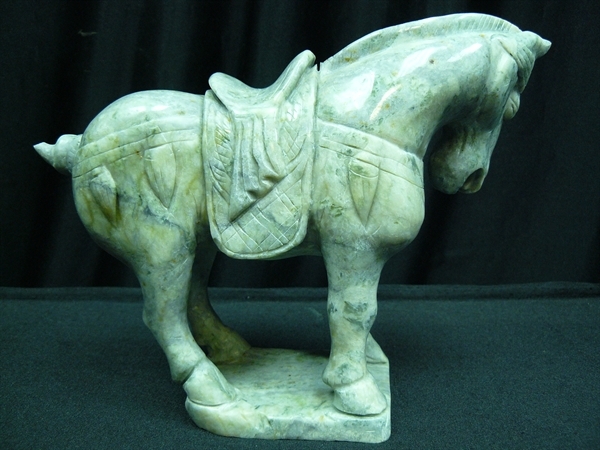 It comes with a wooden base. Light green.